Known the world over as the birthplace of the "hand-stitched" Original Cabbage Patch Kids, BabyLand General Hospital is a very real place. Babies are born in the cabbage patch daily...you may even get to name one of them! An 18-hole course of fun for the whole family! "Take a walk on the wild side" - exotic and domestic animals, new reptile exhibit and educational pavilion, visit with the animals at your own pace, open year round! As seen on "Dirty Jobs"...Petting zoo, pony rides, feed the animals, camel encounter, wildlife walk. 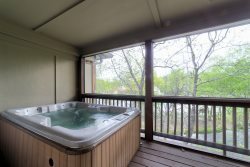 Group rates available! Pan for gold and screen for gems at the site of the first major discovery of gold in the USA.